The turn-back tunnel of Guangzhou Metro Line 3 Tianhe Station with a large span was excavated in sandy clay which may easily break and disintegrate. The artificial ground freezing (AGF) technique was used to stabilize the soil and to prevent its collapse during excavations. Most of the existing theoretical analysis and numerical simulation on the AGF technique are purely based on a couple of assumptions, which are not able to produce accurate predictions. It would be more accurate for the AGF analysis to include the field monitoring. In this study, the coupled method of the field monitoring, the analytical formula, and the numerical method is used to evaluate the thickness and average temperature of the frozen zone. Field monitoring was conducted to measure the temperature of the brine and the ground. Analytical formula was used to compute the thickness and the average temperature of the frozen zone. Numerical simulation is also carried out to predict the thickness and the temperature field of the frozen zone. According to the analytical and numerical analysis, the computed thickness and average temperature of the frozen zone meet the designed requirements of the project, which are further confirmed by the successful excavation of the tunnel. 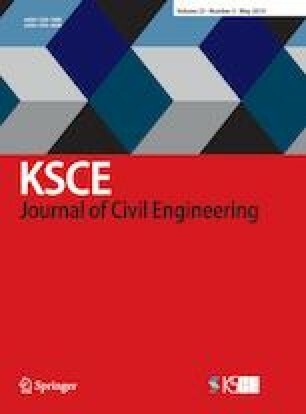 This indicates that the coupled method used in this paper is reliable and would be helpful for the AGF application in practical engineering.